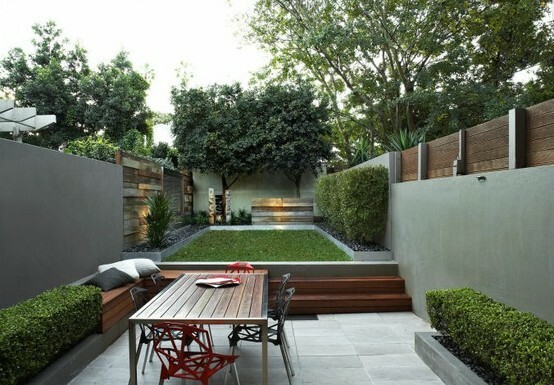 Just because you move into a more urban environment, doesn’t mean you shouldn’t create your own little green oasis. 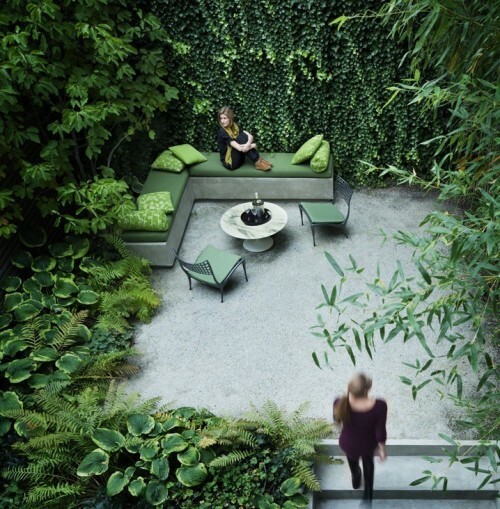 I love how these lush, emerald walls of plant life create an outdoor room and a place to retreat from the world. Lucky enough to have private roof access? Don’t let it go to waste! Look how lovely this vista is! Using vibrant colors for your planters only instills the space with more energy and interest. 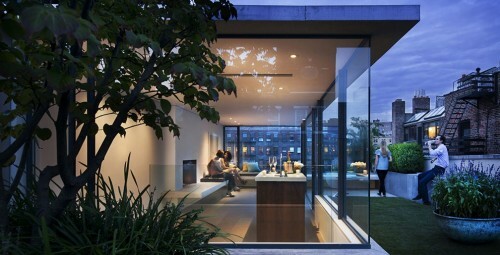 The glass walls of this home allow more of the outside in, creating a beautiful flow to the gorgeous rooftop garden. Perhaps you have a small yard with your downsized home and you can’t give up that patch of grass? Okay…but keep it reasonable and easy to manage. You didn’t give up that huge house to spend your days behind a lawn mower right? This modern streamlined approach makes the space feel larger and more open. Built in seating maximizes your entertaining capacity. Or go almost maintenance free with concrete pavers, contained beds and crushed granite. I love the use of squares in this very rectangle space…a nice contrast. Short on space? Go vertical. 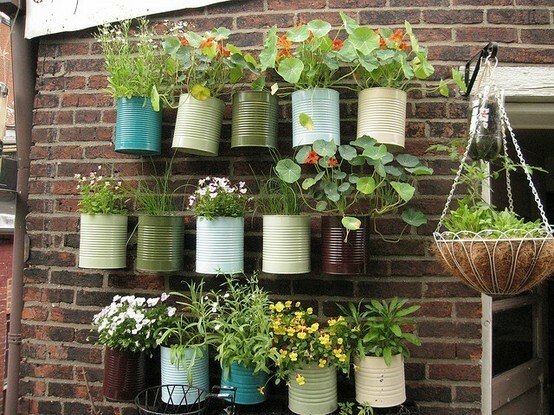 These re-purposed paint cans now overflow with lush greenery and don’t encroach on the limited square footage. Oh and I just adore this idea! 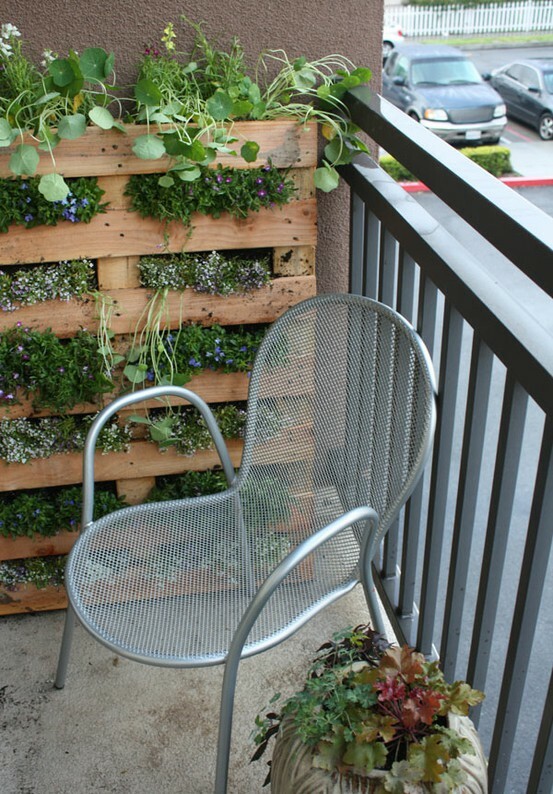 Turn a discarded pallet into a terraced garden wall! Even the tiniest of balconies can accommodate this installation! How to do it? Go here for DIY instructions. Want more inspiration and ideas…check out these books. (Click on them to go to Amazon). 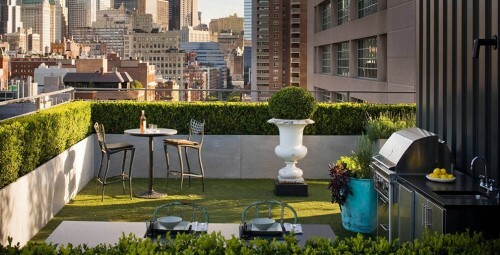 Each is loaded with fantastic designs that will certainly inspire your own urban garden. Remember downsizing isn’t about giving up what you love, it’s about changing the way you live to encourage a simplistic, peaceful, green lifestyle! 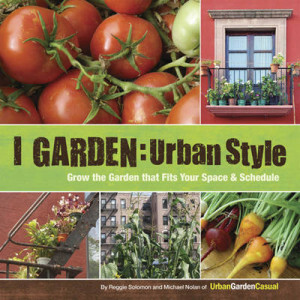 Do you have an urban garden right now? I would love to hear what you have done with it! Thanks for a great article, Candace! I just posted it on our Facebook page… I love the idea of such creativity even in small spaces. Thank you! What a fabulous collection of urban gardens you have here! 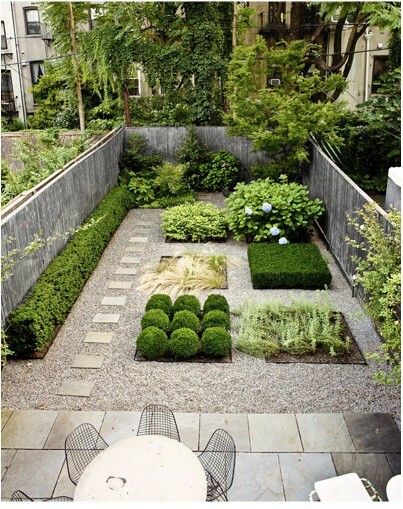 Shows that even in a small amount of square footage, one can create a really spectacular urban oasis. thanks for curating such a wonderful urban gardens tour!